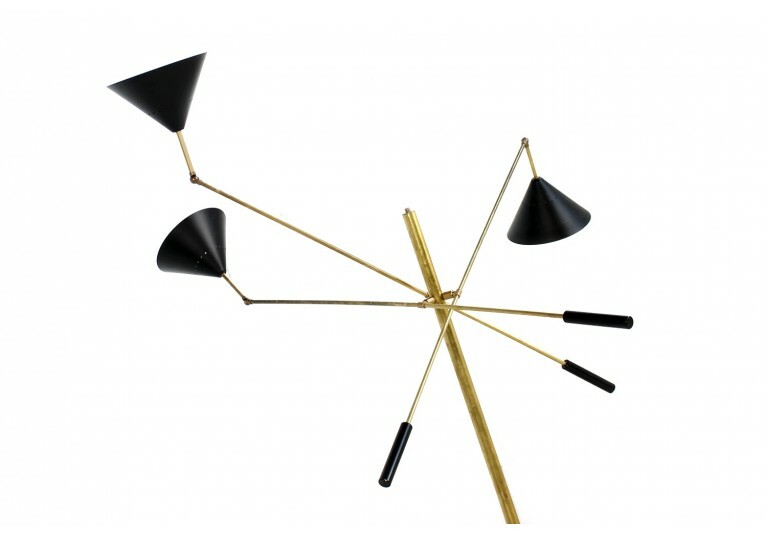 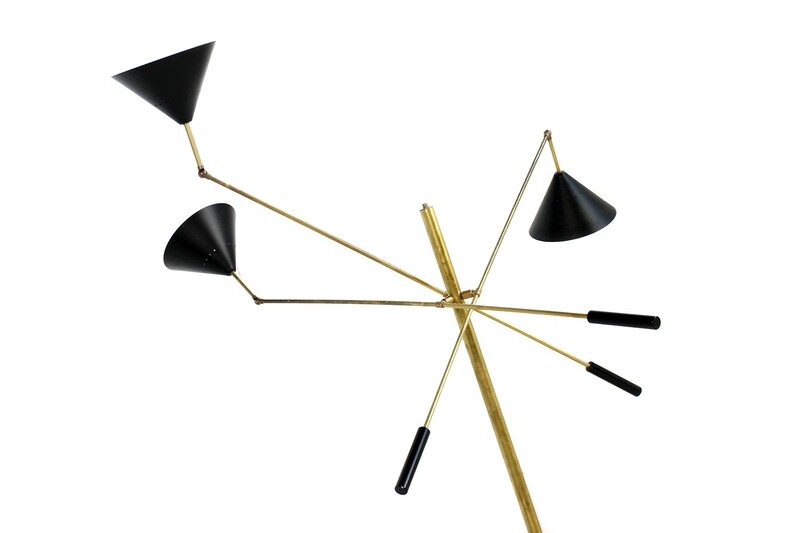 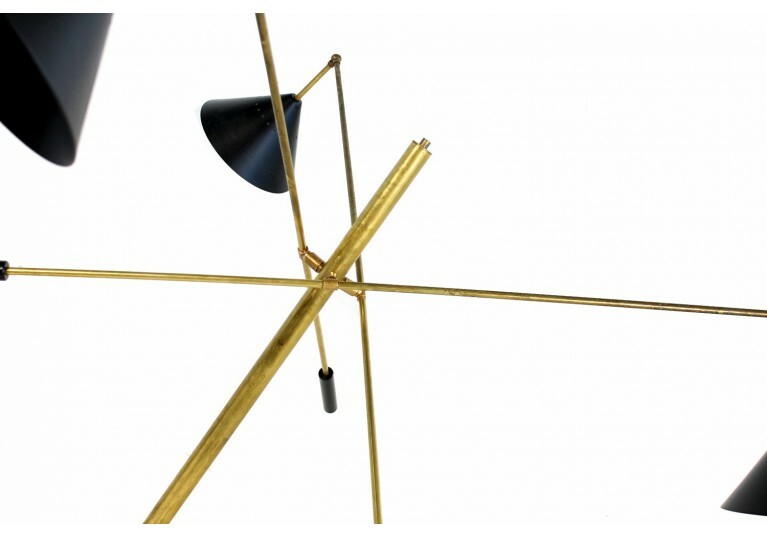 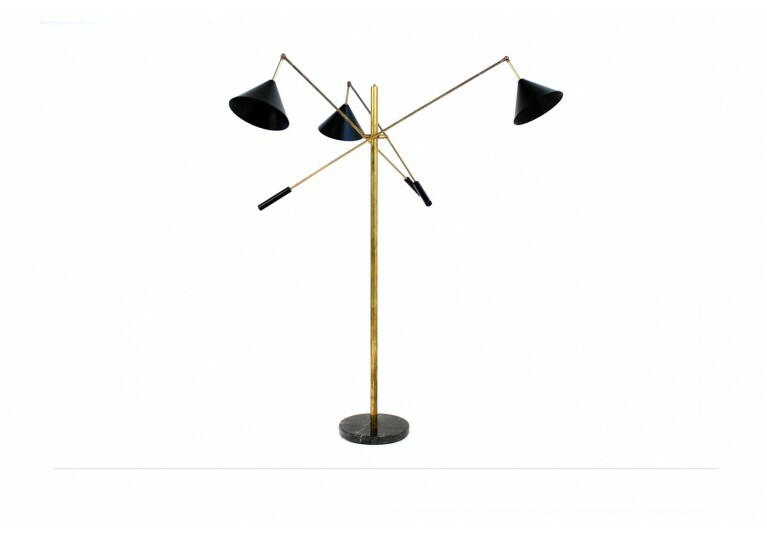 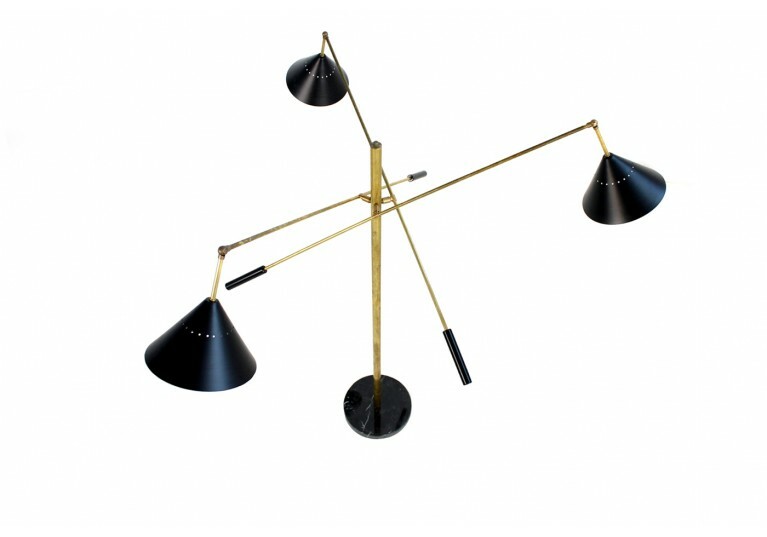 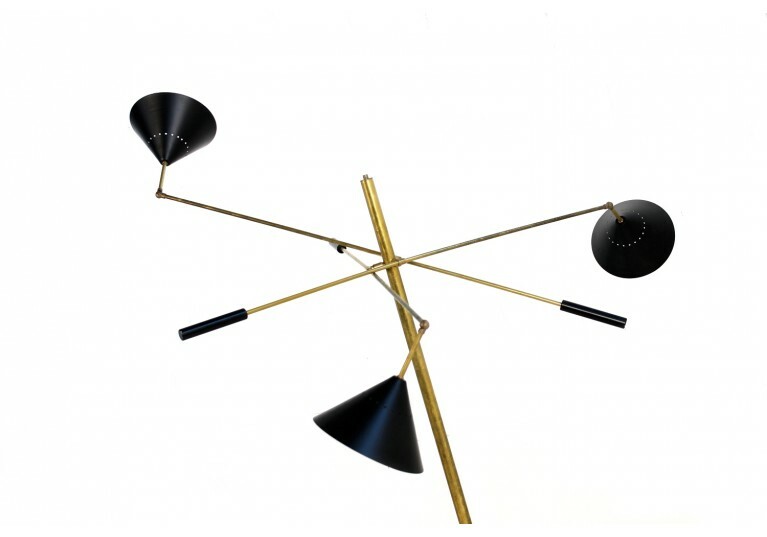 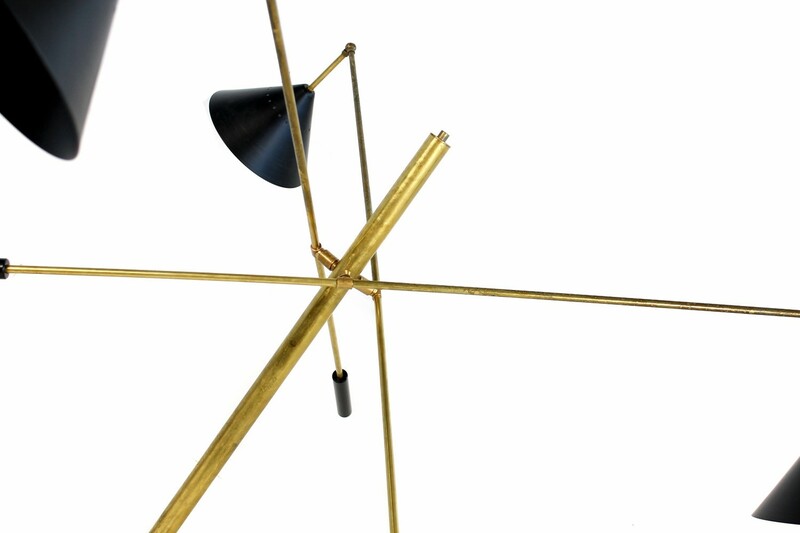 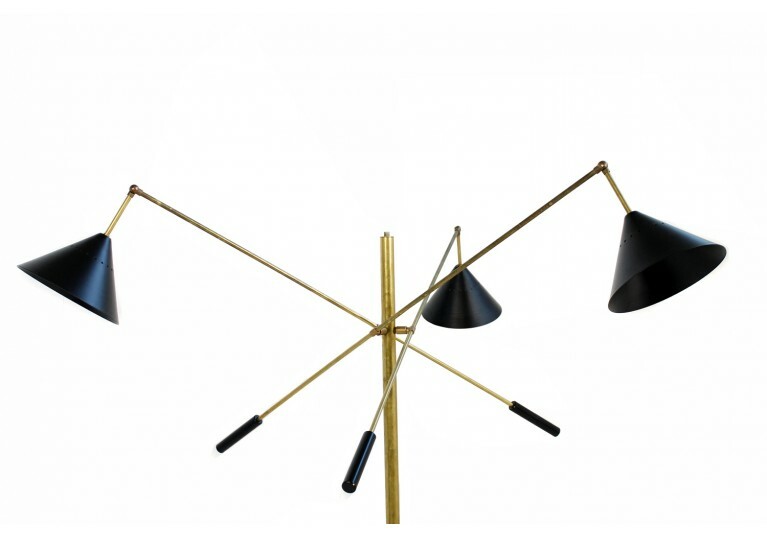 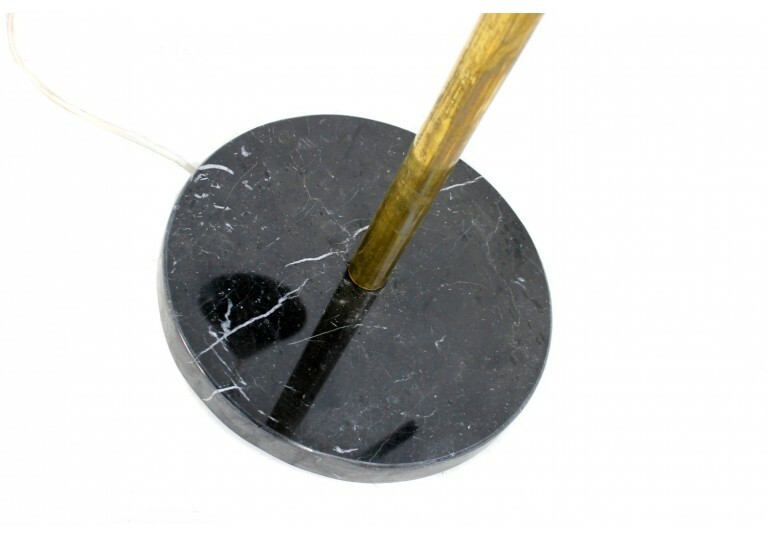 Beautiful adjustable Italian Floor Lamp, very unique with a black marble base, brass and lacquered metal shades. 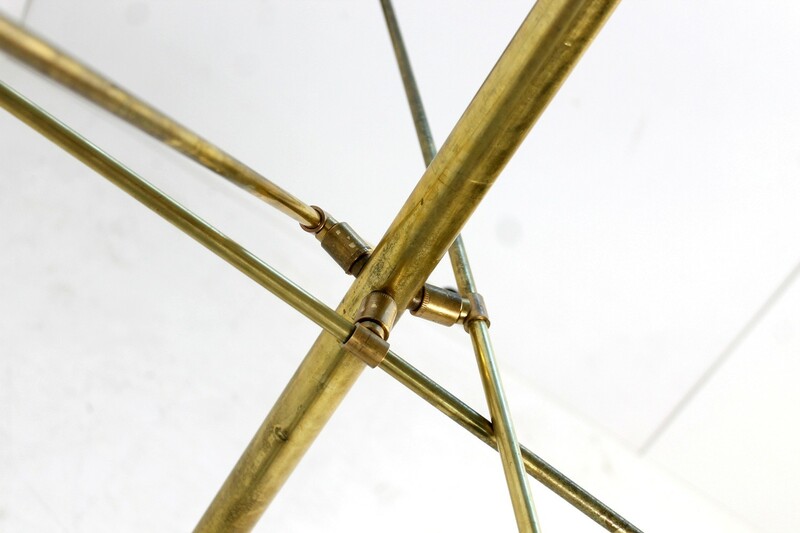 Each one for an E27 bulb. 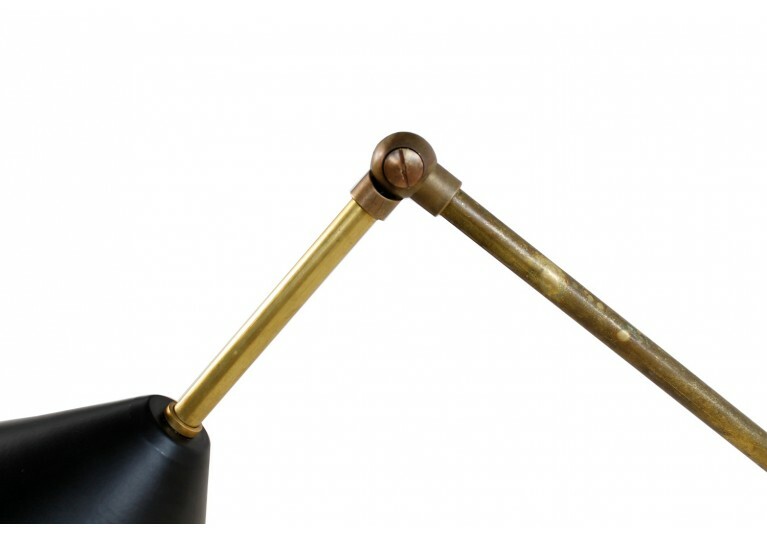 The lamp is already rewired and can be used in Europe and also in the US. 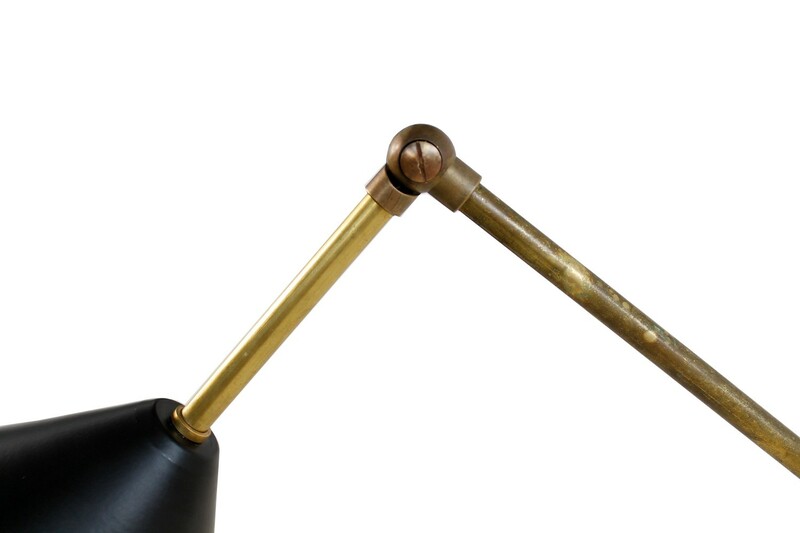 Adjustable arms and end parts. 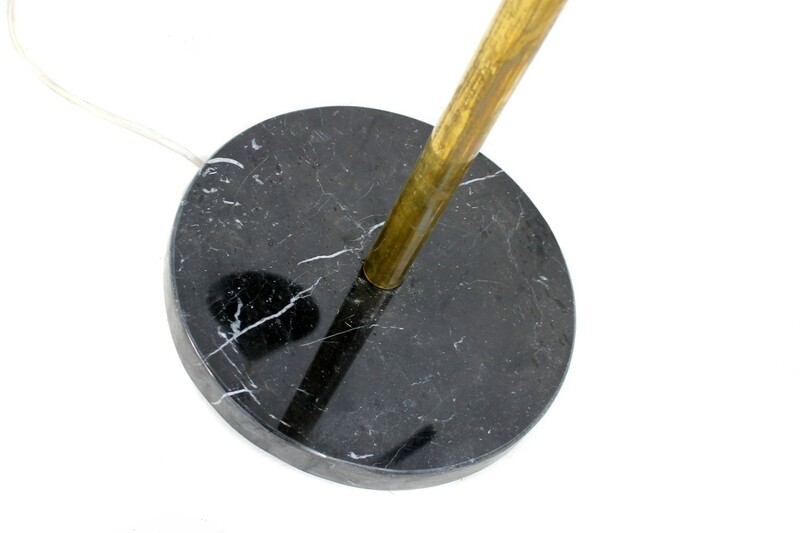 Diameter ca. 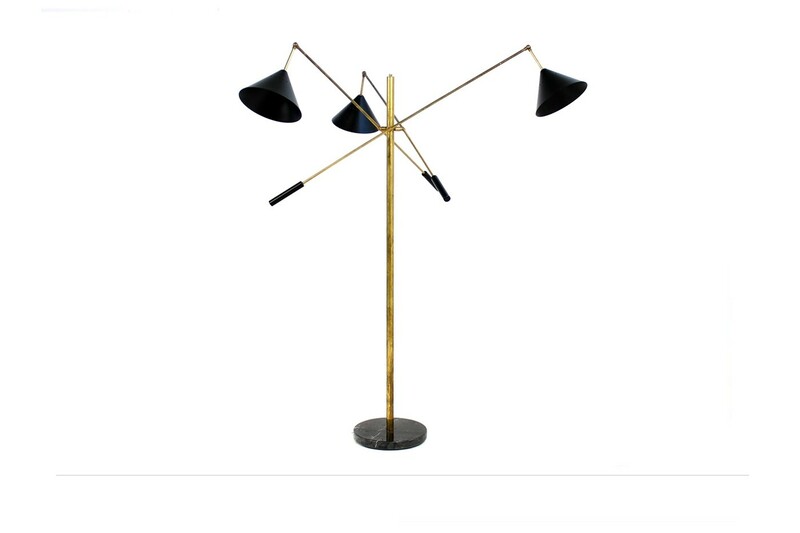 125cm and 185cm high.